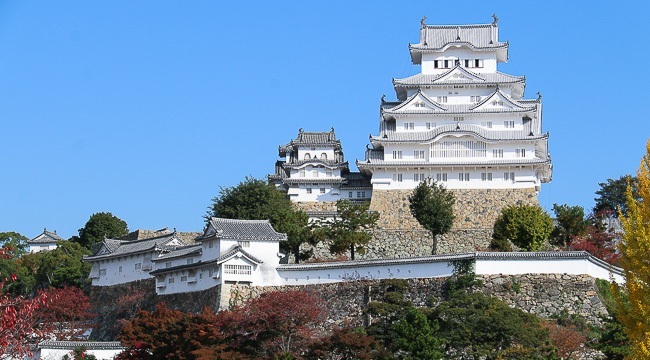 The most visited castle in Japan, Himeji Castle is considered the Surviving 17th-century Monument. The Himeji Castle, unlike other castles in the country, was never destroyed in any wars or disasters. The castle still maintains its historical composition and form. The castle was built 1346 and was originally called Himeyama Castle. It later went through modifications, the current Himeji Castle dates back from 1601. The Himeji Castle was registered as the first Japanese National Cultural Treasure by UNESCO World Heritage Site and a Japanese National Cultural Treasure in December, 1993. Chapultepec Castle (El Castillo de Chapultepec) has played a huge role in the history of Mexico. The castle has been used as a Military Academy, Imperial residence, Presidential home, observatory, and finally museum. It now houses the Mexican National Museum of History. The Chapultepec Castle was built in 1785 by order of Viceroy Bernardo de Galvez. The following years, it went through periods of occupations and abandonment until February 3, 1939 when President Lzaro Crdenas decreed a law that established Chapultepec Castle as the seat of the National Museum of History. Standing on a 50 metre high hill, the Olesko Castle is believed to have been founded in the 11th century. However the first known written mention of the castle was in the document of 1327 when the pope Bonifacio lX gave it to Halych Catholic bishop as a gift. The castle has changed ownership several times during the 15th century and the early 18th century. Dresden Castle was built around the early 13th century, it is one of the oldest buildings in Germany. The building was used as a residence for the royal household since 1485. The castle was bombed in 1945 during World War II and was later reconstructed in 1960. Casa Loma (Spanish for Hill House) is a Gothic Revival style house in midtown Toronto, Ontario, Canada, that is now a museum and landmark. It was originally a residence for financier Sir Henry Mill Pellatt. Casa Loma was constructed over a three-year period from 1911 1914. The architect of the mansion was E. J. Lennox, who was responsible for the designs of several other city landmarks. Casa Loma has five acres of gardens. An underground tunnel connects Casa Loma to the Hunting Lodge and to The Stables (Garage, Potting Shed, Stalls, Carriage Room and Tack Rooms). Due to its unique architectural character in Toronto, Casa Loma has been a popular location for movies and TV. For example, it has served as a location for movies such as X-Men, Strange Brew, Chicago, The Tuxedo, Scott Pilgrim vs. the World, Warehouse 13, Twitches Too and The Pacifier. Comic books and children’s novels that have used it include the Scott Pilgrim series and Eric Wilson’s murder mystery, The Lost Treasure of Casa Loma. Krak des Chevaliers was originally built in 1031 and rebuilt between 1150 – 1250 to guard the only major pass between Antioch in Turkey and Beirut in Lebanon. However, the fortress was captured several times throughout history. T. E. Lawrence described Krak des Chevaliers as ‘perhaps the best preserved and most wholly admirable castle in the world’. Tokyo Imperial Palace is the residence of the Imperial Family. It is located on the former site of Edo Castle, which used to be the seat of the Tokugawa Shogun who ruled Japan from 1603 until 1867. Tokugawa Shogunate was overthrown in 1868 and the Imperial Family moved to Tokyo from Kyoto and the Tokyo Imperial Palace opened in 1888. It was destroyed during World War II and rebuilt in 1968 using the same design and style. Kronborg Castle was originally built in the 1420s by the Danish king, Eric of Pomerania. It was later rebuilt in 1585 by Frederick II into a Renaissance castle. The castle caught fire in 1629 and its restoration was completed in 1639. Kronborg Castle was used as a prison between the 18th and 19th century, in which one of its prisoners was Queen Caroline Mathilde (Princess Caroline Matilda of Wales). Kronborg Castle is considered one of the most important Renaissance castles in Northern Europe and receives over 200,000 visitors each year. 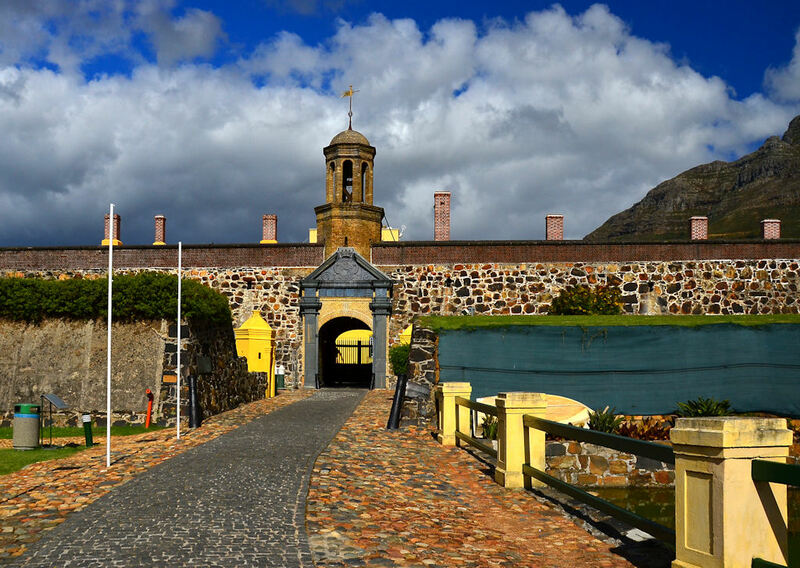 Castle of Good Hope is the oldest structure in South Africa, built by the Dutch East India Company between 1666 and 1679. Today the structure serves as headquarters for the Western Province Army Command. The castle is open for visits from 09h00 to 16h00, there is also an entrance fee. 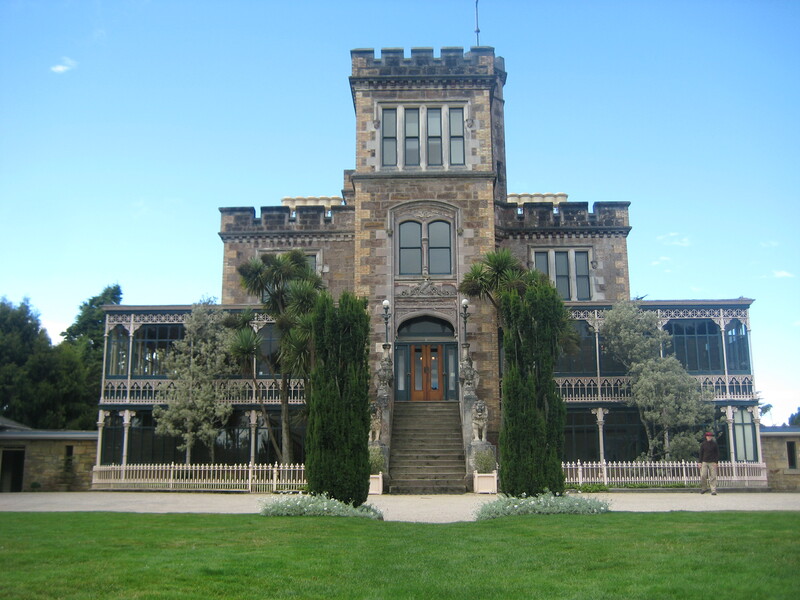 Larnach Castle was built between 1871 and 1887 for the wealthy banker, political figure and former Minister of Mines, William Larnach. William Larnach committed suicide in 1898 after a series of financial and personal setbacks, he shot himself in the Parliament Building in Wellington. Larnach Castle is currently owned by the Barker family, Barry and Margaret Barker bought it in 1967, restored it and recreated its 35 acres of gardens and grounds.